Steve Bennis started flying gliders with the South Shore Glider Club at Montauk Point on Long Island, NY in the 1930s. He was very active in the club having served in several official capacities with them. During that time, he owned a Goeppingen Wolf glider. He started a long association with the AirHoppers Club at Wurtsboro, NY serving pre- and post-war as an instructor and tow pilot with occasional duties as a test pilot after the refurbishment of a glider. At that time, Steve and Ginny Mayer teamed up to enjoy flights in the Wolf before Steve sold it to the government. In the early part of the war, Steve served as a civilian glider instructor and tow pilot in Mobile, AL. Then he enlisted in the Navy where he served with Capt Ralph Barnaby developing experimental gliders for the Navy. 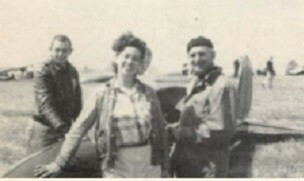 As postwar flying resumed, Steve and Ginny (Mayer) Bennis enjoyed soaring the club's newly acquired Kirby Kite at Elmira and other locations. Steve was Chief Instructor for the club and soon became a very active and successful competition pilot. Another post-war activity was forming a Glider and Soaring School at Sanford, FL, one of the first commercial operations in the U.S. He also helped run contests acting as Operations Chief for the Southeastern Championships in 1948. In addition to being a Schweizer Dealer for many years, Steve opened an operation at Randall Airport in Middletown, NY which, in 1957 became the first FAA Approved Glider School. His Sanford operation had been VA approved. Steve sponsored several glider meets at the Randall operation but also took part in national competitions. Flying an L-K, Steve placed 10th in the 19th Nationals which took place in Grand Prairie, TX. The photo above shows Steve and Ginny Bennis at the 20th National Contest at Elmira, NY in 1953 with the club Schweizer 1-23D. It was during this contest that National Airlines offered $200 and $100 prizes for the first and second pilot landing at Idlewild Airport (now known as the John F. Kennedy Airport in New York). Three pilots reached Idlewild - Stan Smith (1-21), Nick Goodhart of Great Britain (L-K) and, third, Steve Bennis and out of the prize money. These flights excited the Press but were quite a shock for the officials who had initially termed these arrivals as "tiny gliders" and "toys" but eventually overcame their concerns. Soaring had come of age. 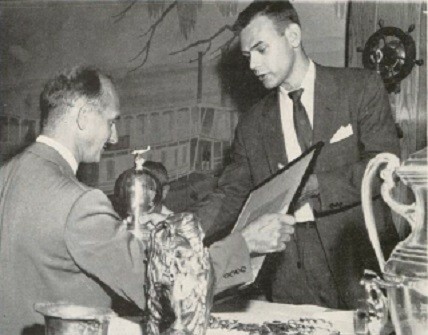 Steve Bennis won the Stroukoff Trophy in 1955 for the two longest Goal and Return flights in the 22nd Nationals at Elmira. He earned Silver #51 in 1946 and Gold #38 in 1952.